The Kifaru E&E has been in their line up for years. It is a small 785 cubic inch (12.8l) pack designed as a grab and go pack or to dock onto a larger bag. In many ways, it's a large pouch that has shoulder straps which can be tucked away when not in use. The E&E is made from 1000 denier Cordura and includes a liner for ultimate durability. 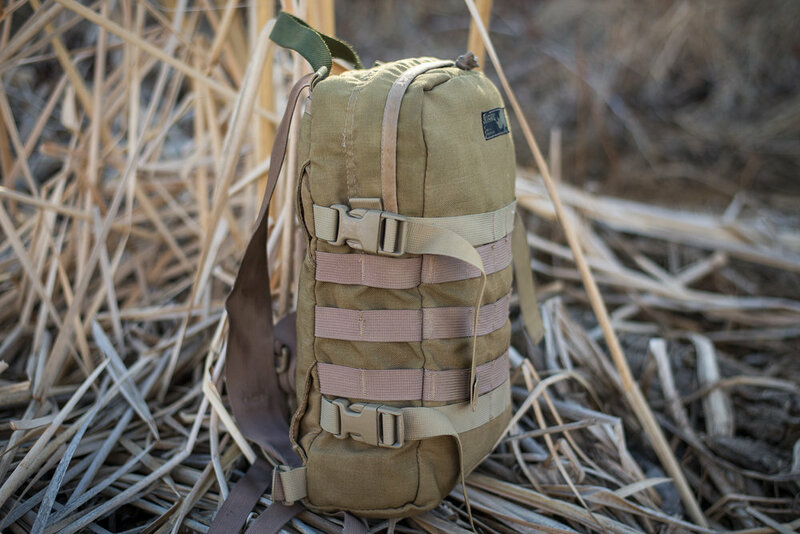 This Gen 1 model does not have a full panel loading front like the current generation, but it does include a hanging Chamber Pocket on the interior for organization and plenty of PALS webbing on the exterior for additional pouches. The shoulder straps are basic but adequate, and can be optionally upgraded to full-sized/featured straps. If you need a compact pack that can fill a multitude of roles, check this one out.